Joel Kleinman, M.D., Ph.D. is the Associate Director, Clinical Sciences and the Co-Director of the Molecular Neuropathology Section at the Lieber Institute for Brain Development (LIBD), Johns Hopkins University in Baltimore, MD. He is a Professor in the Department of Psychiatry & Behavioral Sciences at the Johns Hopkins University School of Medicine. Dr. Kleinman is also on the board of directors for the Sheppard-Pratt Lieber Research Institute, a clinical research center focused on understanding the biology of schizophrenia, autism, and other developmental neuropsychiatric disorders. Dr. Kleinman received his B.S. in Biochemistry in 1966, his M.D. in 1973, and his Ph.D. in Pharmacology in 1974 from the University of Chicago. He interned at San Francisco General Hospital (University of California Medical School in San Francisco) and completed a residency in psychiatry at Massachusetts Mental Health Center (Harvard Medical School) as well as a residency in Neurology at the George Washington University School of Medicine. Over the last 41 years at the NIMH and LIBD he has helped to amass what is widely regarded as one of the best collections of postmortem human brains for the study of the molecular biology of brain development and related disorders, especially schizophrenia. He has been both a pioneer and leader in this area of research with over 350 peer-reviewed papers. Recently, his research has focused on allelic variation, alternative transcripts and epigenetic modifications in human fetal and postnatal brain development, schizophrenia and a number of other psychiatric disorders including bipolar disorder, depression and PTSD. Law AJ, Lipska BK, Weickert CS, Hyde TM, Straub RE, Hashimoto R, Harrison PJ, Kleinman JE and Weinberger DR: Neuregulin 1 (NRG1) transcripts are differentially expressed in schizophrenia and regulated by 5’ SNPs associated with the disease. PNAS USA 103: 6747-6752, 2006. Huffaker SJ, Chen J, Nicodemus KK, Sambataro F, Yang F, Mattay V, Lipska BK, Hyde TM, Song J, Rujescu D, Giegling I, Mayilyan K, Soghoyan A, Caforio G, Bertolino A, Meyer-Lindenberg A, Chang J, Egan M, Goldberg T, Kleinman JE, Lu B and Weinberger DR. A primate-specific, brain isoform of KCNH2: affects cortical physiology, neuronal repolarization, and risk of risk of schizophrenia. Nat Med 15: 509-518, 2009. Nakata K1, Lipska, BK1, Hyde TM, Ye T, Newburn EN, Morita Y, Vakkalanka R, Barenboim M, Sei Y, Weinberger DR and Kleinman JE. (1 shared equally as first authors). DISC1 splice variants are upregulated in schizophrenia and associated with risk polymorphisms. PNAS USA 106: 15873-15878, 2009. Kao W-T, Wang Y, Kleinman JE, Lipska BK, Hyde TM, Weinberger DR and Law AJ. Common genetic variation in Neuregulin 3 (NRG3) influences risk for schizophrenia and impacts NRG3 expression in human brain. PNAS USA 107: 15619-15624, 2010. Kleinman JE, Law AJ, Lipska BK, Hyde TM, Ellis JK, Harrison PJ and Weinberger DR. Genetic neuropathology of schizophrenia: new approaches to an old question and new uses for postmortem human brains. Biol Psych 69: 140-145, 2011. Hyde TM, Lipska BK, Ali T, Mathew SV, Law AJ, Metitiri OE, Straub RE, Ye T, Colantuoni C, Herman MM, Bigelow LB, Weinberger DR and Kleinman JE. Expression of GABA signaling molecules KCC2, NKCC1, and GAD1 in cortical development and schizophrenia. J. Neuroscience 31: 11088-11095, 2011. Kang HJ, Kawasawa YI, Cheng F, Zhu Y, Meyer A, Sedmak G, Guennel T, Shin Y, Johnson MB, Krsnik Z, Mayer S, Fertuzinhos S, Umlauf S, Vortmeyer A, Weinberger DR, Mane S, Hyde TM, Huttner A, Reimers M, Kleinman JE and Sestan N. Spatiotemporal transcriptome of the human brain. Nature 478: 483-489, 2011. Colantuoni C1, Lipska BK1, Ye T, Hyde TM, Tao R, Leek JT, Colantuoni EA, Elkahloun AG, Herman MM, Weinberger, DR and Kleinman JE. (1 shared equally as first authors). Temporal dynamics and genetic control of transcription in the human prefrontal cortex. Nature 478: 519-523, 2011. Law AJ, Wang Y, Sei Y, O’ Donnell P, Piantadosi P, Papaleo F, Huang W, Thomas CJ, Nicodemus KK, Straub RE, 1, Sambataro F, Vakkalanka R, Besterman A, Lipska BK, Hyde TM, Harrison PJ, Kleinman JE and Weinberger DR. NRG1-ErbB4-p110δ signaling in schizophrenia and p110δ inhibition as a potential therapeutic strategy. PNAS USA 109: 12165-12170, 2012. Paterson C, Wang Y, Kleinman JE and Law AJ: Schizophrenia risk variation in the NRG1 gene exerts effects on NRG1-IV splicing during fetal and early postnatal neocortical development. American Journal of Psychiatry 171:979-989, 2014. Tao R1, Cousijn H1, Jaffe AE, Burnett PWJ, Edwards F, Eastwood SL, Shin JH, Lane TA, Walker MA, Maher BJ, Weinberger DR, Harrison PJ, Hyde TM and Kleinman JE (1 shared equally as first authors): ZNF804A expression in human brain: A novel transcript fetally regulated by the psychosis risk SNP rs1344706, and alterations in schizophrenia, bipolar disorder and major depression. JAMA Psychiatry 71: 1112-1120, 2014. Jaffe AE, Shin J, Collado-Torres L, Leek JT, Tao R, Li C, Gao Y, Jia Y, Maher BJ, Hyde TM, Kleinman JE and Weinberger DR: Developmental regulation of human cortex transcription and its clinical relevance at single base resolution. Nature Neuroscience 18:154-161, 2015. Jaffe AE, Gao Y, Deep-Soboslay A, Tao R, Hyde TM, Weinberger DR, Kleinman JE. Mapping DNA methylation across development, genotype, and schizophrenia in human frontal cortex. Nature Neuroscience 19: 40-47, 2016. 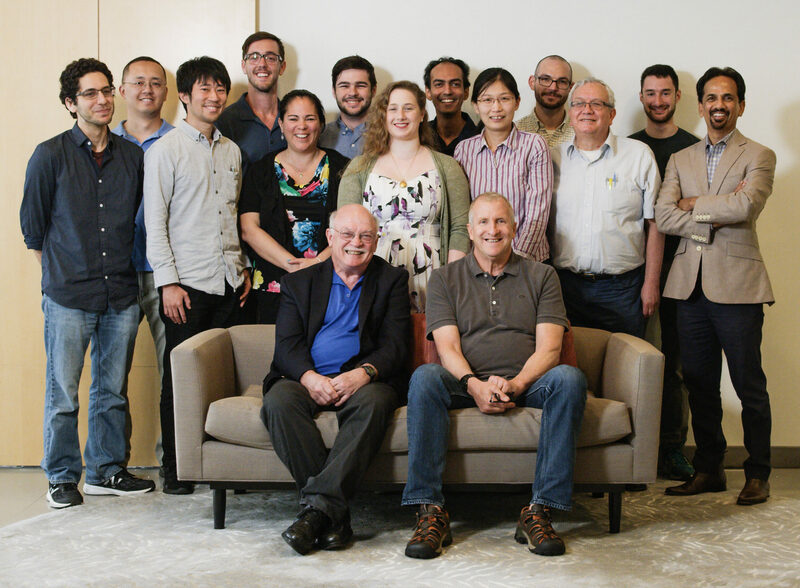 Li M, Jaffe AE, Straub RE, Tao R, Shin JH, Wang Y, Chen Q, Li C, Jia Y, Ohi K, Maher B, Brandon NJ, Cross A, Chenoweth J, Hoeppner D, Wei H, Hyde TM, McKay R, Kleinman JE and Weinberger DR. A human-specific AS3MT isoform and BORCS7 are molecular risk factors in the 10q24.32 schizophrenia locus. Nature Medicine 22:649-656, 2016. Hwang T, Park C-K, Leung A, Gao Y, Hyde TM, Kleinman JE, Rajpurohit N, Shin JH, and Weinberger DR. Dynamic regulation of RNA editing in human brain development and disease. Nature Neuroscience 19:1093-1099, 2016. Jaffe AE, Tao R, Norris AL, Kealhofer M, Nellore A, Shin JH, Kim D, Hyde TM, Kleinman JE, Straub RE, Leek JT and Weinberger DR. A framework for RNA quality correction in differential expression analysis. PNAS USA (in press). Rahul Bharadwaj, Ph.D. manages human post-mortem brain processing and edits the neuropathology reports on every case donated through the State of Maryland Office of the Chief Medical Examiner. He has processed over 600 postmortem brains for the LIBD Human Brain Repository. His research skill set include epigenetic modifications of DNA and laser capture micro dissection (LCM), which he is applying to Alzheimer’s, PTSD and schizophrenia research. Anna Brandtjen specializes in patient-derived fibroblasts primary cell cultures for the LIBD Human Brain Repository. She also maintains IRB protocols, helps manage the clinical data for the Human Brain Repository, and is a contributing member of the clinical diagnostics team. Amy Deep-Soboslay is the Manager, Clinical Assessment for the Neuropathology Division. She is primarily responsible for conducting postmortem diagnostic evaluations in the LIBD Human Brain Repository, with retrospective psychiatric record reviews and/or family informant interviews, in order to determine lifetime psychiatric diagnoses for every brain donor (i.e., over 1,000 individuals and counting). Chao Li, Ph.D. is working as the Laboratory Information Management System (LIMS) Administrator on the Neuropathology team. She customizes the LIMS to fulfill the needs of the Section, writing code to augment the system as needed. She also maintains, tracks, and manages quality control of DNA, RNA, and protein extracts from postmortem human brain. Michelle Mighdoll is the Director of Lieber West, where she manages the upcoming brain collection work with the Office of the Chief Medical Examiner for Santa Clara County, California. In addition to both the careful physical and clinical curation of brains, she is working to expand Lieber’s strategic business partnerships on the West Coast with a focus on the Bay Area. Prior to this, Michelle was the manager of the brain collection team in Baltimore. Taylor Pinckney is a Clinical Project Coordinator and the Liaison with the State of Maryland Office of the Chief Medical Examiner on behalf of the Neuropathology Division. At the Lieber Institute, Taylor is responsible for working with outside physicians, clinics, and hospitals to acquire medical records pertaining to each case to allow accurate retrospective diagnoses. Ran Tao, Ph.D. oversees and manages the postmortem human brain tissue samples and LIMS for nucleic acid sample preparation and other downstream molecular biology experiments. He also has been studying mechanisms of risk from genetic variants associated with schizophrenia and other psychiatric disorders in human postmortem brain tissue, focusing on abnormalities in GABA signaling and schizophrenia. Yoichiro Takahashi, Ph.D. is a visiting Research Fellow from Japan, and a specialist in forensic medicine, whose interest is in the postmortem evaluation of neuropsychiatric diseases. He is studying transcriptome analysis of single cells using postmortem human brains, to elucidate the molecular mechanisms underlying schizophrenia. James Tooke is a Research Associate and manages a variety of aspects in brain tissue processing, inventory organization, and human brain tissue dissections. He is currently working with Dr. Rahul Bharadwaj to develop projects related to schizophrenia, dopamine, and aging, using laser capture microdissection. James Weiss is a Research Assistant in the Neuropathology Division. Rae’e Yamin is a research technician for the Neuropathology Section. He works with Drs. Li and Tao, performing the DNA and RNA extractions on the human brain samples at the Institute. He also helps in organizing and cataloging those extractions for future use.